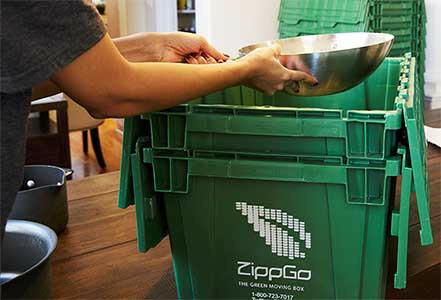 ZippGo rents plastic moving boxes to Sunnyvale residents along with free delivery. With prices starting at just $99 including free delivery, cardboard moving boxes just can't compete. We've made it super easy to get moving boxes Sunnyvale homeowners or renters can order in a jiffy. It takes just a few minutes to place your order on our website. 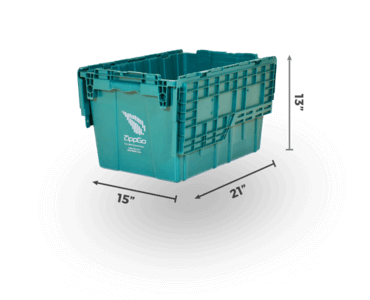 Pick your desired delivery date and time and we'll show up at your door with our green moving boxes. 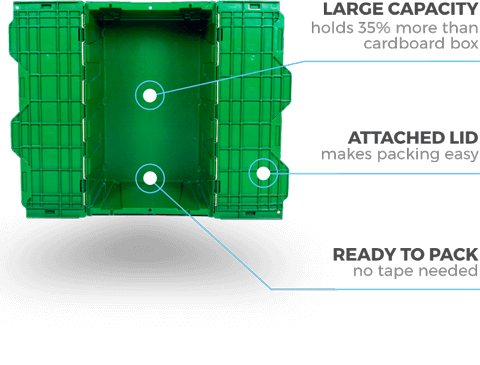 Since our durable and easy to use boxes don't need any assembly, you can't start packing immediately. They never need any tape and have attached integrated lids which snap shut with ease so your belongings are well protected. With the innovation which has taken place in the last 100 years, it's shocking that anyone still uses antiquated cardboard boxes to pack up their belongings for a move. Cardboard boxes are made from paper, require assembly, need to be taped to stay together, are not resistant to being ripped or torn, don't hold up well in bad weather, and can be crushed when moderately heavy weight is placed on top of the box. 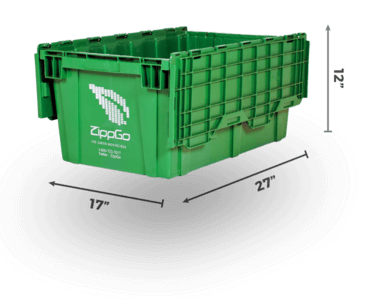 ZippGo has created a sustainable plastic moving box solution that is everything cardboard boxes are not. 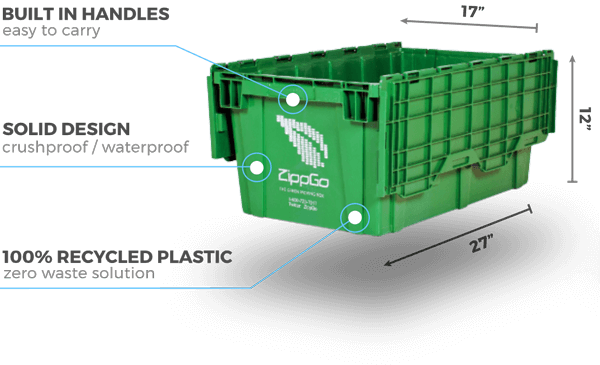 ZippGo's plastic moving boxes are waterproof, tear proof, crush proof, they arrive assembled, never need tape, and they are conveniently delivered to your current home and picked up from your new after you've moved in and unpacked. 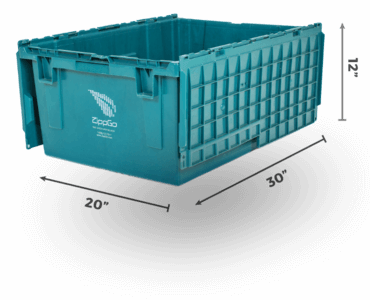 They are made from durable HDPE recycled plastic so they can withstand lots of abuse during transport while still protecting your personal effects inside. Since our boxes are uniform in size, your Sunnyvale moving company will load them in and out of the moving truck much faster, saving you money on their hourly moving rate. We know when people are relocating in Sunnyvale moving boxes aren't the only thing they'll need to pack up all their worldly belongings. 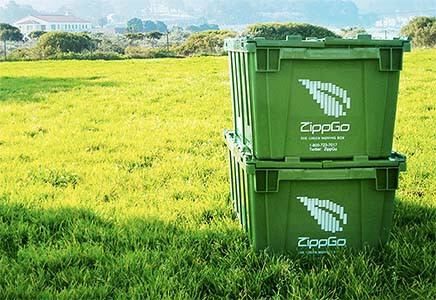 ZippGo will also deliver green moving supplies Sunnyvale residents will find useful while packing up their home. Supplies such as packing paper and bubble wrap to protect your kitchen items like glasses, plates, and bowls. We also carry exclusive patent pending reusable glass and dish divider inserts for our large size boxes which dramatically speed up packing your kitchen while eliminating any conventional paper waste. We also carry an eco-friendly version of bubble wrap called Green Wrap which is made from paper instead of plastic. It's a more sustainable solution because it can be recycled with your other paper. You've probably got a number of jacket, dresses, and shirt hanging in your Sunnyvale closet which you don't want to take off the hanger and put in a moving box. We have plastic wardrobe boxes just for these items. Pack your closet in just minutes. Also, our lifting straps can be rented so you and a partner can move heavy items like a mattress, dishwasher, or really large items with ease. "I absolutely loved using ZippGo and would highly recommend if you are looking to move and want to pack without the hassle of cardboard, go ZIPPGO!! They were delivered on time as promised and picked up a the end of the week when I scheduled too. All went very smoothly and the owners were super prompt at returning my call when I booked my online order. Scared I wouldn't have enough boxes, I easily added a few additional large crates and packing paper too. 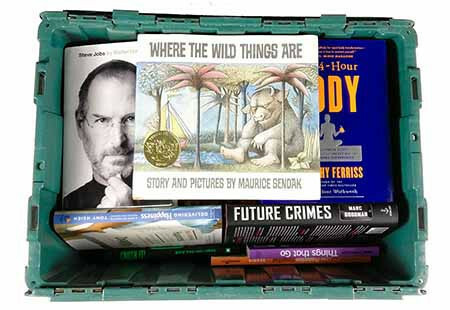 The crates were great. They were not only sturdy but additionally didn't require all of the time it takes to put together cardboard boxes. After the stress of moving, I hate having to break down and figure out how to truck loads of boxes to the recycling areas. No problem with ZippGo! For me the pickup date set my "get it done" unpacking goal date. I easily stacked all the crates as I went. Then the pick up date arrived and the crates magically disappeared. I figured I'd take a chance and try something new and it was well worth it." Free Next Day Delivery in Sunnyvale!